Faith Breezes: Faith Breezes Anticipation! The time has come... THE BOOK is here! 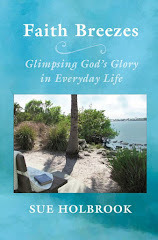 Daughter Becky and I presented a program at Vero Beach FUMC to introduce my book and her CD to our friends and family. Daughter Lyn joined us on the program - how exciting to have all of us involved in this project! So, of course, I had to visit my hair magician to put my best look forward. And yes, I did put on some makeup! Thanks to my hairdresser, Cathy, at Calvetti and Company in Vero Beach. What would I do without you? Cathy has been with me throughout the journey of this project. Every appointment would always include the question: "How is the book coming?". Well, there's your copy, Cathy. Enjoy! FAITH BREEZES by Sue Holbrook available on Amazon.com. 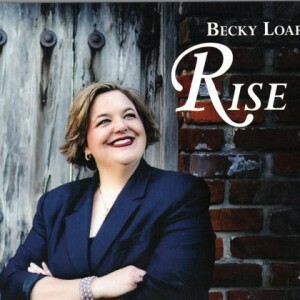 RISE by Becky Loar available on iTunes and www.rebeccaloar.com.